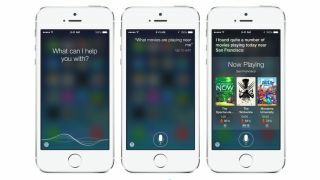 Photo-centric Siri boost on the way? Apple is planning to widen the scope of its hit-and-miss personal voice assistant Siri, in order to include iPhone owners' photo libraries, judging by a newly published patent application. The filing, spotted by AppleInsider, speaks of "a method for tagging or searching images using a voice-based digital assistant." Users would be able to tag the photos as they take them, with one example quoting a user saying "This is me at the beach" with other photos in the same geographic location tagged accordingly. According to the application, the tech would also recognise faces, buildings and landscapes to apply tags to photos in the iOS Camera Roll. Naturally, users would then be able to call up those photos at will by using Siri to say "show pictures of me at the beach." The company is already grouping like minded photos together within the iOS 7 Photos app, so adding Siri to this wouldn't be too much of a stretch. The application itself was published in March 2013, so if Apple plans to follow through on the feature, it's somewhat surprising the functionality wasn't built into iOS 7. Siri hasn't reached its potential yet, but here are 10 ways Apple could make Siri brilliant.